CBD Oil for Dogs With Cancer – Can CBD Really Help? Home Dog Supplements CBD Oil for Dogs With Cancer – Can CBD Really Help? 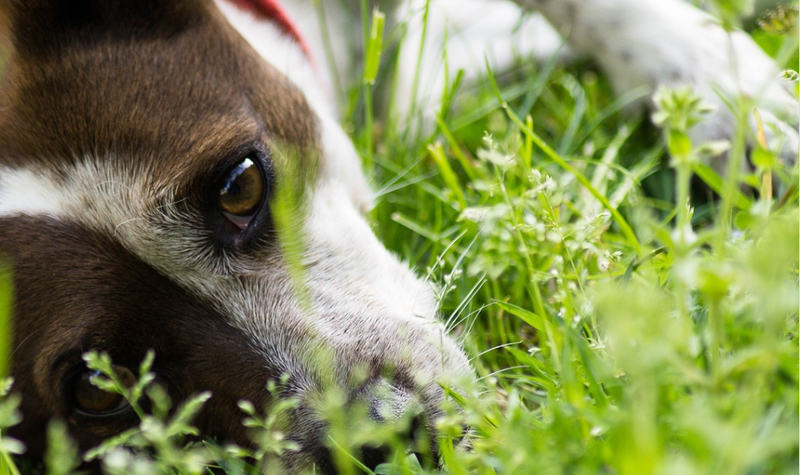 What Kinds of Cancer Affect Dogs the Most? So, Can CBD Help Treat Cancer In Dogs? Are People Successfully Using CBD to Treat Cancer in Dogs? Which CBD is Best for Dogs with Cancer? A couple years back I was basically in a similar position as you are now. I vividly recall the fateful day when my vet confirmed to me that Rosie my Golden Retriever was suffering from cancer. I immediately got into a very dark moment. In as much as cancer is a fatal condition, I learned that there are alternative treatment supplements available that can aid your pet in coping with their current condition. CBD is among such supplements that are extracted from Cannabis and hemp plants. This article, in particular, will highlight research that is currently being conducted on CBD and the benefits this could have on your pet especially in dealing with cancer. Just to keep you updated, my top of the list recommendation for dogs who are suffering from cancer is to use products from HolistaPet. Cancer is very common in both human beings as well as animals, it is also a very complex disease. I will briefly take a look at cancer, its effects on dogs and how this has been treated traditionally. I will then look into how CBD can be used to help dogs suffering from cancer. This is manifested through abnormal growth of the cells in the different parts of the body. The growth of these cells cannot be controlled and usually with time begins to destroy your body tissues while hindering the body from proper functioning. Cancer, in particular, does not stand for one disease. It actually refers to diverse diseases that spread in the body while affecting the same in different ways. Cancer on most occasions can be terminal but it is of paramount importance to remember that it can still be treated. Actually, there are cancers that are fully benign. Cancer is very common in dogs. According to The Veterinary Cancer Society, cancer is top of the list of the causes of death in dogs at about 47% in dogs. Skin: Cancer of the skin is popular I dogs. The good news is that the cancers are usually benign. 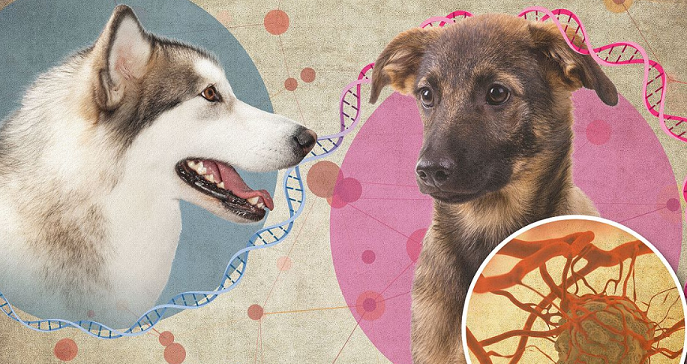 Mammary gland: Female dogs are vulnerable to breast cancer. About 50 percent of these cancers are malignant. Head & Neck: They are also vulnerable to cancers of the mouth which are malignant and need urgent care. There is also a likelihood that they can suffer from tumors on their necks and the nose. Symptoms associated with cancers of the mouth are inclusive of abnormal growth of cells in the gums, bad odor, bleeding, as for the nose, there is a likelihood of experiencing swelling on the face, having difficulty while breathing as well as bleeding. Lymphoma: This cancer happens at the lymph node level. It can be noticed when 1-2 nodes enlarge abnormally. This type of cancer is very aggressive and easily spreads to different parts of the body. Testicle: This is common too. It mostly occurs in dogs that have retained testicles meaning that their testicles are usually located in their abdomen or between this and the scrotum. Abdominal Tumors: Vey common though not very easy to diagnose at first. Signs associated with these tumors are inclusive of swelling of the abdominal area or even weight loss. Bone: Mostly affect larger dog breeds and those who are more than seven years old. Mostly affect leg bones and signs include swelling, chronic pain, and lameness. Treatment of cancer in dogs is mostly done using methods such as chemo, radiation, surgery or combining the three. The type of treatment is highly dependent on the stage of cancer your pet is at. 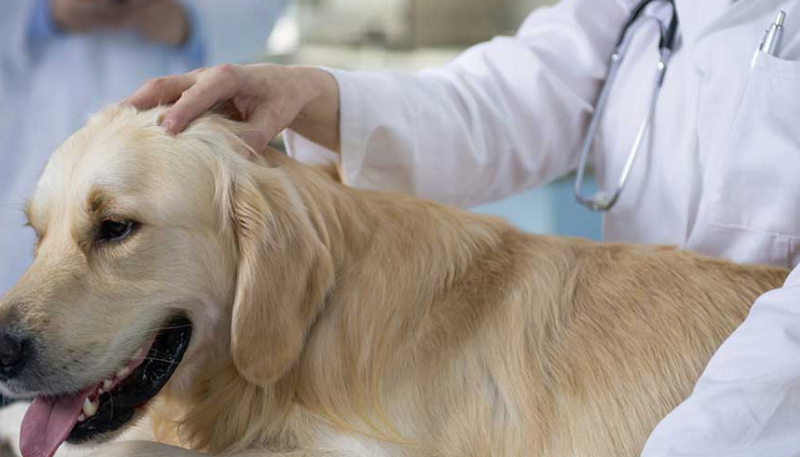 After a diagnosis has been done, the vet will recommend a treatment plan depending on the condition of your pet. If possible, vets will normally want to conduct surgery and remove the tumor or even part of the tumor. 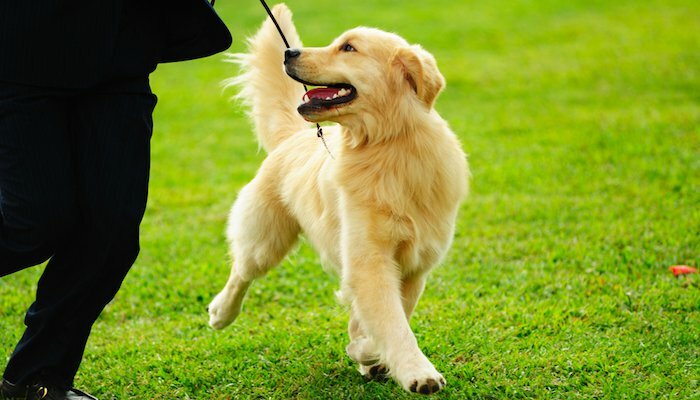 But, a few cases may require for the dog to undergo chemo or even radiation therapy. The type of chemo or radiation that will be used is also dependent on the pet, their current condition as well as general health. In case your dog already has cancer, you must be worried about getting them started on chemo. I understand this as I was once in your shoes. I have the memory of the day when my vet suggested we use chemo on my dog. At this moment I froze and started having images in my head of Rosie losing her fur, getting frail and fragile with time. I later learned that this was not correct. It’s pretty common for chemo to give your dog side effects. In a majority of the cases, the side effects are not usually what we usually have in mind. A healthy dog experiences side effects about 3-4 days later after chemo has been administered and this lasts to about 24-48 hours. There are dogs who experience these side effects in a very minor way and may only seem a bit lethargic and dull. Gastrointestinal symptoms such as vomiting, appetite loss, and diarrhea. Reduced number of white blood cells. Hair loss though minor. Majority of the dogs experience mild hair loss thinning though there are breeds such as poodles, Old English Sheepdogs, Schnauzers, Puli, Lhasa apso, Shihzu, among others who are more vulnerable to hair loss. Skin irritations which are inclusive of ulcers, swelling as well as inflammation are likely to occur in occasions where chemo leaks from the vein during injection though this is a rare occurrence. You should note that the extent of side effects a dog experiences when undergoing chemotherapy highly varies. My dog was a bit healthy when she initially her treatment. That said, she would occasionally experience bad effects and mostly this was a lack of appetite which eventually led to her losing weight. A couple of days after the treatment, she would be a bit lethargic and generally dull. The symptoms, however, were temporary and not as intense as I had expected. Actually, my research on cancer as well as the different treatments available and majorly with CBD, helped me understand that there was a great distinction between human and vet chemo. As noted by Dr. Patty Khuly who is an award-winning vet and an author, veterinary chemotherapy is in mostly designed to be palliative. Additionally, chemotherapy in humans is designed to give a cure to a given condition and be very effective. With this, vet chemo is not very intrusive and its administration is doe in a way that it helps in improving your pet’s condition and still minimize on side effects experienced by your pet. If you were to look at different studies, you will come across the fact that CBD really does help. As a fact, CBD has been indicated to work in the management of symptoms caused by cancer as well as particular side effects. There is also preliminary evidence showing that CBD helps in fighting the development and spreading of some types of tumors. The ECS system is the one system that mediates the effects that are brought about by cannabinoids such as CBD. In stimulating the ECS system, CBD can work to produce lots of benefits for the body. There is research that indicates that CBD is great at management of inflammation and pain. It has also shown to help in curbing gastrointestinal symptoms such as vomiting and nausea. By so doing, this compound can in an indirect way help humans and animals get their appetite back which they are likely to lose because of the cancer treatment. It is important to remember that a majority of pet owners have this imagination that chemo in an animal is as tough as it in humans though this is not usually the case. Though it is not unheard of pets dealing with a couple of side effects after they received their treatment. In such instances, it is important that you consider CBD as it can help in dealing with some of the side effects experienced. Numerous and current research indicates that CBD, as well as different compounds of cannabis and the hemp plants, can aid in fighting diverse kinds of cancers. I would also like to clarify the fact that these types of research are preliminary having been conducted on lab rats or even test-tube models of a givn cancer. In this case, it is a bit early to reference CBD and compounds of cannabis as a cancer cure. Still, the results leave us hopeful. There are 2 studies that were published in 2014 and 2014 by a group of researchers hailing from the University of Naples in Italy, and the University of Aberdeen in the United Kingdom, they tested the effects of a cannabidiol-rich cannabis extract on colon cancer. The team did a replication. They worked on replicating a model of colon cancer-vivo in mice as well as in vitro. They concluded that the cannabidiol extract had anti-tumor properties and it also counteracted the effects caused by azoxymethane, which is a chemical that is used in inducing cancer when biological research is being conducted. Their research showed that CBD helped in slowing the growth of new cells while making existing cells more exposed to chemo drugs. A lot more studies have indicated this kind of results on different types of cancers inclusive of leukemia, bladder as well as lymphoma. In as much as what I have discussed is of paramount importance, you should remember that this has mostly been preliminary research. The World Health Organization has accepted the use of cannabidiol a therapeutic agent though it is not a good time to conclude about the role CBD plays in the treatment of cancer. That said, there are different pet owners myself included who have used CBD on our pets and the experiences have been worthwhile. As I earlier mentioned, CBD helped Rosie with her appetite, and in dealing with her pain and inflammation brought about by hip dysplasia. 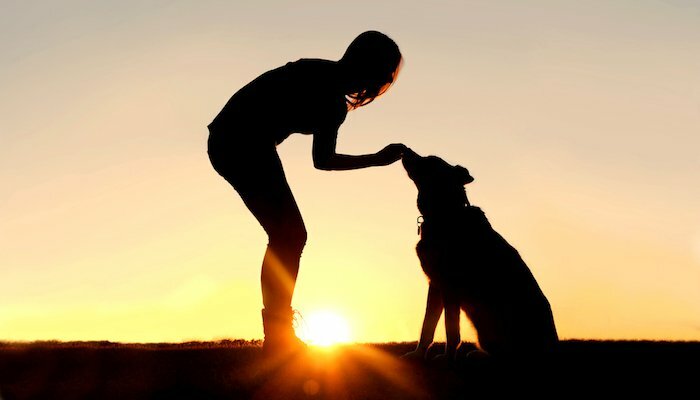 Owning a pet means that you at all times need to be very keen at what the dosage recommended is of any new supplement or even medicine before you can administer the same to your pet. This is the same case for CBD. The dosage needed in treating a given condition your dog is suffering from varies. In case you are using a CBD oil, I highly recommend administration of a dosage of between 2-4 drops that are given two-four times in a day. This, however, is highly dependent on the particular brand you are using. The above is not the exact figure and this varies and is dependent on the general health of your dog, as well as their size. You should ensure that you adhere to instructions given on a product. 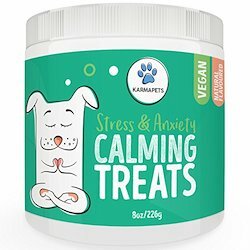 In case you are using calming treats, CBD treats and chews, or even capsules, their dosages vary which is highly dependent on an individual product. It is therefore important to follow the given dosage instructions that are availed with a product. A lot of pet owners utilize cannabidiol as an oil, capsules and even treats on their dogs suffering from cancer. There are those who use it to curb symptoms of a given condition and even side effects associated with treatment and other would use the same in slowing the growth and even the spread of cancer. I already mentioned here that my dog experienced very good results with CBD. We will take a look at Chili. The screenshot here is borrowed from Canna-Pet.com. Chilli has been suffering from lung cancer after a diagnosis was done a couple years back. Just as with any pet owners, his owner wanted the rest of his life to be as comfortable as it could get. He was under CBD treatment for two years and his owners had the belief that CBD helped in keeping him calm and even enthusiastic. The screenshot here is borrowed from Canna-Pet.com. He had the best life until his owner realized he was suffering from cancer. I highly relate to this as we were shocked to also find out that Rosie had cancer. That said, his owners report that OZZIE has been taking CBD and has shown major improvement. He is more energetic and better in comparison to before he started using CBD. He was diagnosed with mast cell cancer. The chemo she had been made her dull and lethargic and as soon as she was given CBD, she started regaining her energy. 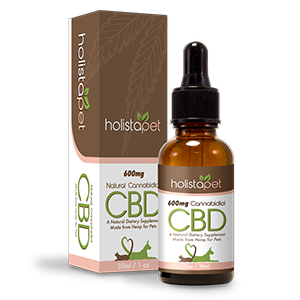 In case you want to sample CBD on your pet, you will come across a diverse range of products available in the market. As for me, I have sampled products from Canna-Pet and King Kanine and I can attest to the fact that the two companies have exemplary oils. 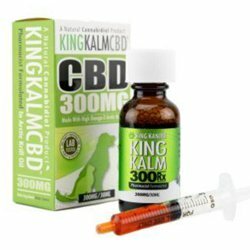 In case you have a dog suffering from cancer, you can use King Kalm 300mg RX. This oil is of high quality and is availed along with a dosage chart. It is easier to get quick relief if the oil is administered sublingually. In case you are looking for info on my experience using these products on my dog, you can check out an overview of King Kanine that happens to be my #1 on my recommendation list.